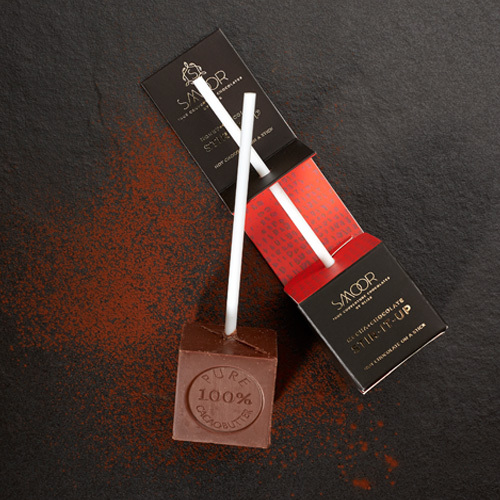 Hot Chocolate on a stick Why start your day with the same old cup of coffee every morning, when you can wake up to a delectable chocolate stick enriched with the flavor of mocha. The flavorsome fine-quality coffee perfectly complements our true couverture chocolates all-the-while pleasing your palate. Your search for the top-notch flavured chocolates ends at Smoor, and now you can buy mocha chocolate online with ease. In addition to the online experience, at our store you can take your pick to Buy chocolates in Bangalore while seating yourself to taste delectable dishes on the menu. We are passionate about our work and on a mission to revolutionize the nation with the most rich couverture chocolates. So, you can be assured of our promise to maintain the highest standards in all our preparations. Planning on gifting the best boxed chocolates to your beloved? We’ve got you covered. Irrespective of the occasion; be it birthdays, anniversaries, Valentine’s Day or festivals like Diwali, Easter or Christmas, our online chocolate shopping collection has an exciting range of gift boxes with assorted chocolates, macarons and chews, even for your 11th our gifting needs.. Find your favorite flavor options on our website and fill the cart to your heart’s content. With our reliable delivery service, happiness is can be summoned right to your doorstep.